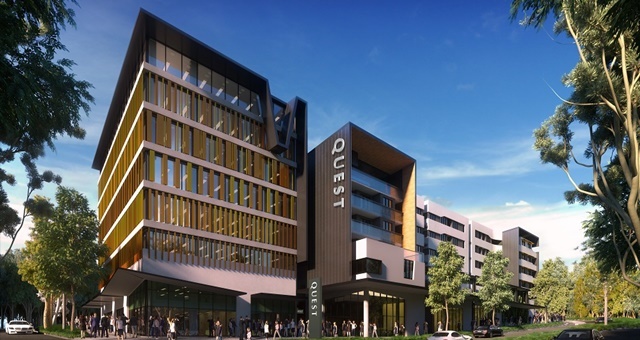 Quest Apartment Hotels has announced the opening of Quest Springfield Central in Brisbane’s Health City precinct. The 82-room hotel is positioned adjacent to the Education precinct, within walking distance to the main shopping area and 35 minutes from Brisbane Airport. The hotel provides a mix of studio, one and two bedroom apartments, with fully-equipped kitchens, a business lounge, conference facilities and on site gymnasium. Quest Apartment Hotels Chief Executive Officer, Zed Sanjana, said the property is in line with the company’s national growth strategy and reinforces its commitment to meeting the needs of key regional business centres. The broad pipeline of nine new property openings over the next year across Australia, and the UK, shows substantial growth for Quest. In addition to Springfield Central, this includes properties in Midland and South Perth (WA); Cannon Hill (QLD); Maribyrnong, Epping, Notting Hill and NewQuay (VIC); Penrith (NSW); and Liverpool (UK).